"Nice coffee and found all staff courteous every time I visit. Nice one!" 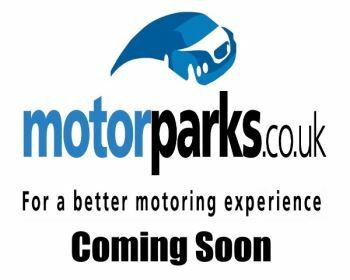 Take a look at our extensive used SEAT range here at Motorparks and you will soon realise that the Spanish manufacturer constructs cars to suit every driver. Founded in 1950, the Sociedad Espanola de Automoviles de Turismo - or SEAT for short – was created as a means to make Spain a motorised nation. More than half a century later and the SEAT brand has expanded worldwide, thanks to vehicles such as the sporty used SEAT Ibiza and the spacious family-friendly used SEAT Alhambra. Our selection of used SEAT Leon cars are sure to catch the eye too, while our used SEAT Toledo vehicles are great to be behind the wheel of when attending an important business meeting. Make an enquiry about any of our second hand SEAT cars online without delay – there’s 0% finance available on selected models. The SEAT Ibiza represents an important step forward for SEAT. And in particular its pursuit of the Ford Fiesta. Smart, stylish and backed by a range of brilliant petrol engines, the Ibiza feels more grown up and better rounded than ever before, while its huge boot and refined ride provide a workmanlike simplicity that is lacking with many of its rivals. This Seat Ibiza FR comes fitted with Alloy Wheels, Air conditioning, Cornering lights/kerb illumination, Cruise control, CD/Radio, with Aux connection, Day time running lights, Isofix preparation, Remote Central locking, and more!